The Library and Research Center at the National Museum of Women in the Arts recently accepted an archival donation from the estate of artist Catharina Baart Biddle (1912–2005). 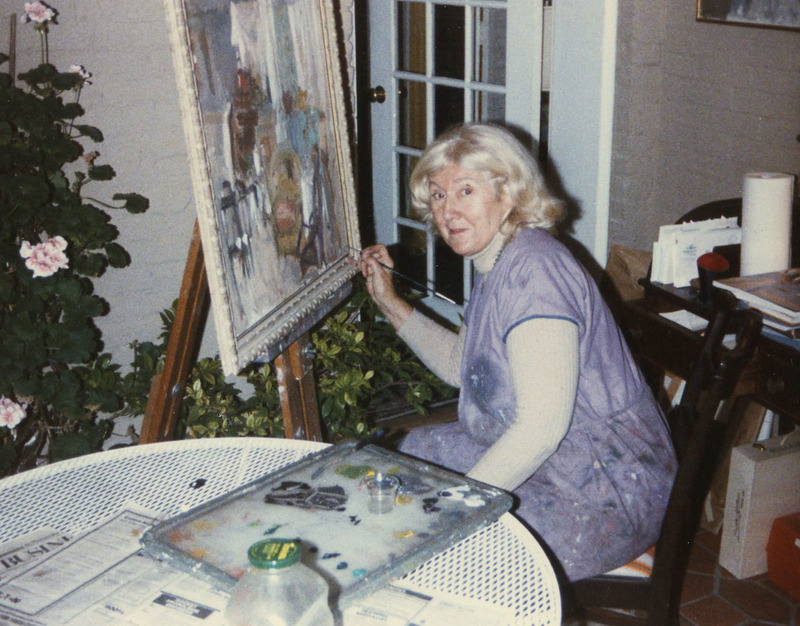 The wealth of archival material includes correspondence, photographs, newspaper clippings, and many other artifacts that shed light on the life of this notable Washington arts supporter and female painter. Born in the Netherlands, Biddle came to the U.S. at age 12 and grew up on Long Island. She had been influenced at an early age by famous Dutch artists such as Rembrandt and Van Gogh. Her work reveals their inspiration, featuring great emphasis on light, shadow, and color. After receiving an M.F.A. from The George Washington University, Biddle turned down a job offer from the school and decided to return to Europe. She spent several years traveling and painting, spending time in Greece, North Africa, and France—even learning from Picasso, Dufy, and Matisse. 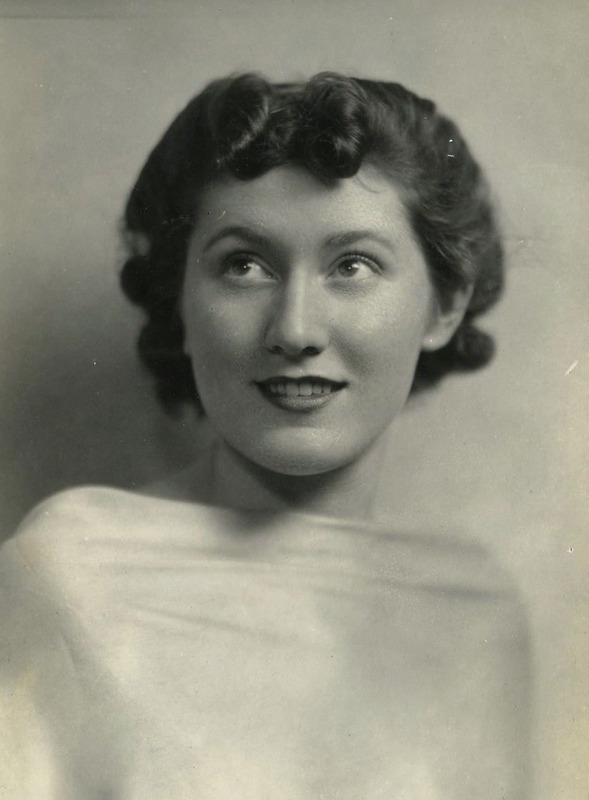 Eventually missing the freedom of thought afforded by American life, Biddle returned to the U.S. at the start of World War II, where she received her second M.F.A. from American University. She went on to work in the education department at the National Gallery of Art and then taught in Washington, D.C., public schools for more than 20 years. Dedicated to her mission of furthering arts education, Biddle endowed a fund for undergraduates at American University in 2002. In 1973 she married Livingston Biddle, who drafted the legislation creating the National Endowment of the Arts and the National Endowment of the Humanities. While her husband was serving as the third Chairman of the NEA under President Carter, Biddle was an avid NEA volunteer. NMWA has significant ties to the Biddle family. The Biddles were members of the NMWA Foundation Board. In 2002, Biddles helped endow a gallery at NMWA called the International Gallery. The donation was intended as a tribute to her husband and their passion for the arts. The LRC has begun processing this collection, and it is available for researcher use. The archival material dates throughout the entirety of Biddle’s life, especially her earlier years. Although there is a wide range of material, a majority of the collection consists of photographs and correspondence. There are a number of travel photographs in particular, including many from Poland, as well as letters to loved ones such as her sister, Mary, and Livingston Biddle. The collection provides fascinating insight into the life of this extraordinary woman. —Eva Richardson is a former Library and Research Center intern at the National Museum of Women in the Arts. This entry was posted in Artist Spotlight, Behind the Scenes, From the Vault, Library and Research Center by Women in the arts. Bookmark the permalink. My name is Erik Baart ( 1955 – from the Netherlands) and Catharina Baart Biddle was a relative of mine: she was a niece from my father. In 1986 she visited our home-village Egmond-Binnen which is her place of birth. For a while I had contact with Thomas O ‘Callaghan concerning my interest and study for Kitti Baart. Perhaps in the near future I shall contact the National Museum (LCR) to get some copies of archive-material. There is also a lot to tell about the background of her trip to the USA with her sister Mary in the 19twenties.